On a beautiful Spring day in Canberra, Polio NSW members took the opportunity to attend our biennial Country Conference (details below). Those who weren’t camera-shy lined up after the lunch break for a group photograph. The Country Conference allowed all Polio NSW members and their families/friends, especially those from the ACT and south-east NSW, to find out about issues and services relevant to people with the late effects of polio. Spring is a wonderful time to visit Canberra and we looked forward to seeing everyone there! Once in Canberra, a number of the participants joined Committee members at the Lakes Restaurant, Gungahlin Lakes Golf Club, on Friday, 17 October, to enjoy an informal dinner and get to meet some of the other people attending the conference, and catch up with old friends from previous events. 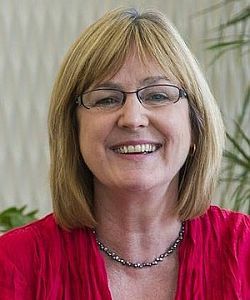 Mary Durkin, ACT Health Services Commissioner and Disability and Community Services Commissioner, ACT Human Rights Commission, will deliver the opening address. Dr Geoff Speldewinde, Head of Rehabilitation, Calvary John James Hospital, Canberra, will speak about rehabilitation for people with post-polio syndrome following surgery, including re-gaining mobility, pain management considerations, and special care needs that arise. Dr Speldewinde has trained extensively in all aspects of general rehabilitation, specialising further in musculoskeletal and pain management. He is uniquely qualified in specialist injection procedures for diagnostic and therapeutic purposes. 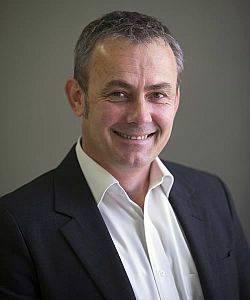 Geoff is on the executive of the Australian Pain Society, the Musculoskeletal and Pain Special Interest Group of the Australasian Faculty of Rehabilitation Medicine. David Halpin, an Accredited Exercise Physiologist, will speak about his experience working with people in Ghana who have had polio, providing an insight into how it affects people’s lives in this developing country. David will also provide some information about exercise DO’s and DON’Ts for people with the late effects of polio. David graduated with a Masters of Exercise Science (Clinic Exercise Physiology) from the University of Canberra in 2012 where he was awarded the Dean’s Award in 2012, as well as the Post-Graduate Exercise Science Award for both years of his Masters degree. 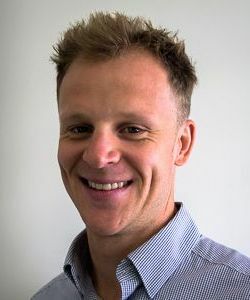 David works in clinical practice as an Accredited Exercise Physiologist – specialising in providing exercise for chronic diseases and conditions as well as musculoskeletal conditions. He is passionate about creating an active society, whether it be motivating sedentary clients to commence regular physical activity, or assisting highly active athletes to return to sport post-injury or to make small adjustments to perform at a higher level. Randolph Sparks, Clinical Psychologist, will present on the psychological impact of chronic illness, including the emotions people might experience, psychological strategies that can assist in coping with these emotions, and the impact on other people such as carers and families. Randolph is a clinical psychologist who is passionate about mental health and learning. He is experienced in working with a range of problems, and has worked as a psychologist in both public mental health and in private practice, helping people overcome a range of barriers and difficulties. Randolph has also worked extensively in pain and injury management. Randolph has a long history of speaking to community and professional groups and organisations on a range of issues, including chronic pain, depression, anxiety, preventing relapse of depression, mindfulness, positive psychology and managing a range of difficult issues. As well as a passion for teaching and sharing information, Randolph places a high value on continued learning and training as a professional, to make sure clients receive the best evidence-based treatment. Health Care Consumers Association ACT This presentation by Eleanor Kerdo, Policy Officer, Health Care Consumers Association ACT, will focus on the importance of consumers being strong advocates for their own health care and the role that Health Care Consumer Association ACT plays in ensuring consumer involvement in health care delivery. Technical Aid to the Disabled ACT TADACT is a Not for Profit Charity that aims to enable the independence for people living with disabilities and older people through customised equipment solutions. This session will be presented by Caitlin Archard, Office Manager, TADACT, who will provide an overview of the assistance that TADACT can provide to people with the late effects of polio. Independent Living Centre The Independent Living Centre (ILC) is an information resource centre displaying hundreds of items of equipment that you can try and compare, to help you make informed choices when purchasing products or accessing services. Independent Living Centres are committed to providing the community with the resources needed to “make every day living easier”. This session will be presented by Kari Moore, Manager, Independent Living Centre, ACT Health. The final sessions focus on leisure and recreation opportunities for people with the late effects of polio. Craig Wallace (Marketing Manager, NICAN) will present on the information service provided by NICAN on recreation, tourism, sport and the arts for people with disAbilities. 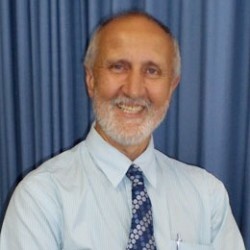 Brian Wilson (Convenor, ACT Post-Polio Support Group) will talk about the Wheelies with Wings program.